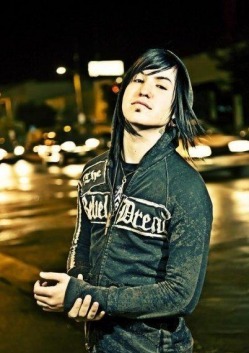 This Is Craig Mabbitt the new lead singer of Escape the Fate. He was born on April 9 1987. He was the lead singer for band Bless the Fall. Craig Mabbitt left the band because he was missing out on his daughters childhood. And he later decided he wanted to rejoin the band, but the band felt it would be better to move on without him. They told him via. AIM (Aol Instant Messenger). When He had joined Escape the Fate, after he had just completed the new Escape the Fate Album Blessthefall asked him to come back to the band after not being able to find a replacement singer. This is Max Green. 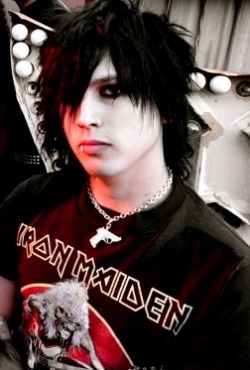 He is the Bassist and background vocals for Escape the Fate. He was born on December 15, 1985. 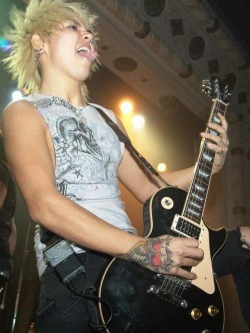 He has been With Escape the Fate since 2004. This is Bryan Money he is the lead guitar, rhythm guitar, and backing vocals. He was born on October 27, 1986. He has been with the band since 2004. He helps write the songs that you hear on their album. He has a tattoo on his right hand in Memory of his father, His father taught him how to play guitar at a very young age. 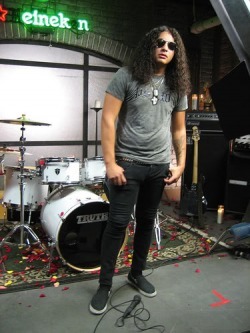 This is Robert Ortiz he is the Drummer and Percussionist for Escape the Fate. He was born on May 31st 1987. He has been with Escape the Fate since 2004. When he was in the band with Ronnie Radke his name was Omar Espinosa.